You no longer need to talk in order to communicate! 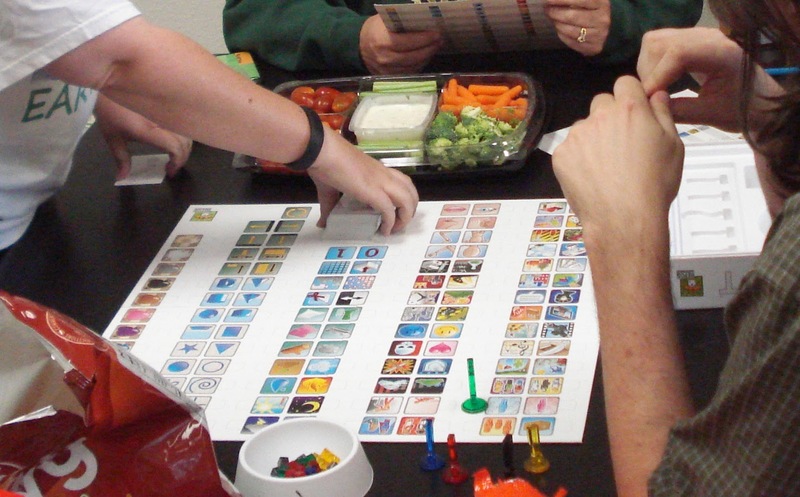 Concept is a great addition to any ones party game collection. The object of the game is to get someone to say a word or phrase selected from a list on a card. The way to get it done is by placing markers and cubes on a series icons on a game board with 117 universally accepted icons available. The player giving the clues will begin placing the Green Question mark on an icon to indicate the main thing the rest of us are trying to guess. Green cubes can be added to other icons to help define the answer. In addition Large Exclamation Point markers in 4 different colors along with matching cubes can be used to define subsets and attributes of the phrase, person, or activity. An example, the Green Question Mark placed on the icon for profession plus a green cube on the male figure icon could indicate a male profession. An Exclamation Point marker on the Nature/Animal icon with matching cubes on large, brown, and fast icons along with a second Exclamation Point marker on the male figure icon and its matching cubes on the up and Mature/Animal icon may indicate the male professional is up on a fast brown animal. It could be a cowboy or a jockey, etc. Each card in the large deck of cards has 3 easy, 3 medium, and 3 more difficult words or phrases to choose from. They really range from easy to nearly impossible. It gets you thinking outside the box with lots of interaction and a ton of laughs. Concept is a great ice breaker with new people or just a great way to enjoy friends in a non-competitive game. 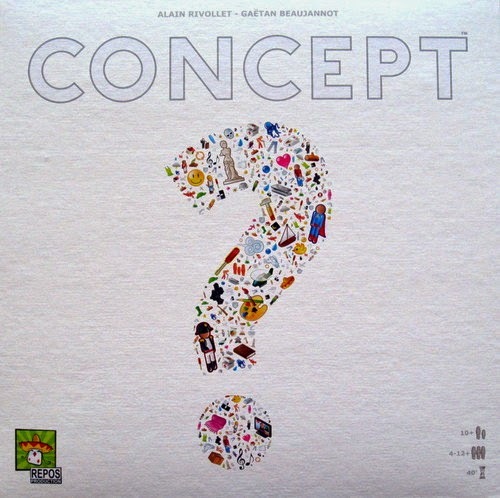 We have an open copy of Concept available in our Demo Games Library for you come in and try.